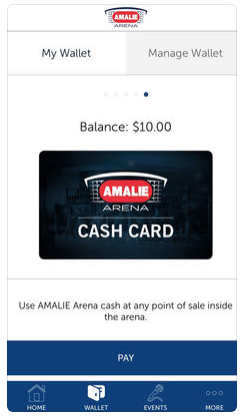 The Tampa Bay Lightning and Amalie Arena have selected developer Venuetize for a new team and stadium app that will bring features including a multi-purpose digital wallet that will help fans manage their ticket options for hockey games and other events at the venue. Screen shot of the new Amalie Arena app by Venuetize. Announced in January, the new app is already available for iOS and Android devices. According to the team, the app supports the ability to purchase concessions and merchandise with a mobile device, as well as being able to perform detailed ticketing transactions including transfers and even transfers of discounts. The deal with the Lightning represents Venuetize’s second NHL deal this season, following the company’s win to provide a similar stadium and team app for the Detroit Red Wings (and the Detroit Pistons) at Little Caesars Arena. Venuetize also previously built an integrated app for the Buffalo Bills and Buffalo Sabres. 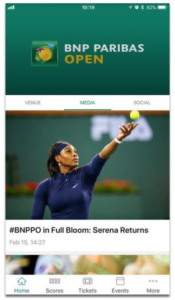 With new entrants like Hopscotch challenging established app players like YinzCam and VenueNext in the stadium and team app arena, Venuetize seems to be claiming its own turf with apps that lean heavily on transaction features, as well as the ability to easily shift between sporting events and other events at stadiums. 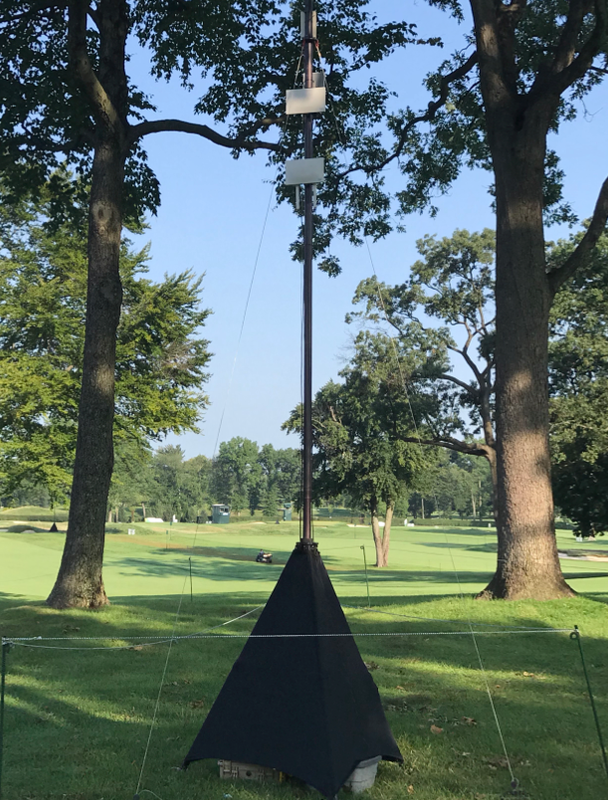 YinzCam, which made its name early in the space with content-focused apps, recently unveiled a feature that allows app users to order and pay for food and beverages. 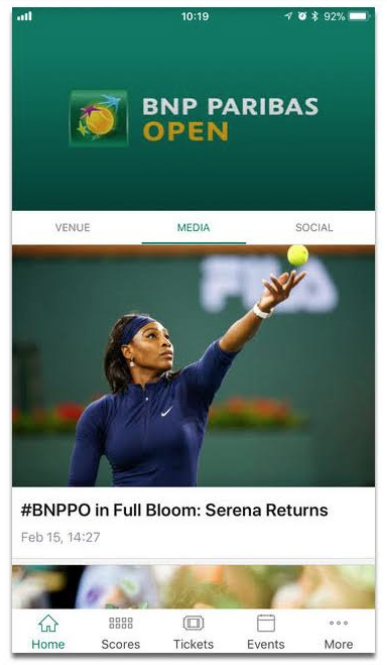 Clearly, the ability to support more transaction-based services seems to be part of the increased table stakes in the stadium and team app market going forward. Denny Hamlin may have won the race, but there was another victor at the Daytona 500 this year, as the 2016 event saw the debut of a new mobile app for the speedway designed by AVAI Mobile of Austin, Texas. 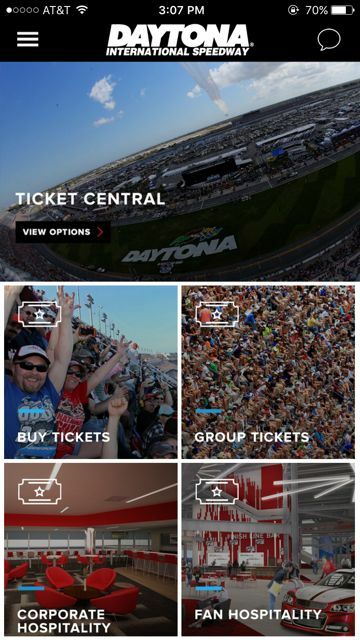 According to AVAI the Daytona app was just the first in a series of apps for International Speedway Corp. (ISC) tracks, a deal that may signal another serious entrant into the growing market for stadium and other large-venue mobile apps. 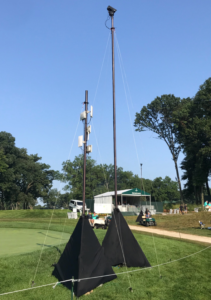 AVAI Mobile CEO Rand Arnold said that ISC approached AVAI looking for a way to combine different parts of a race-day digital fan experience that ISC was already using, including racing content, a beacon/wayfinding infrastructure as well as a loyalty program and push marketing. 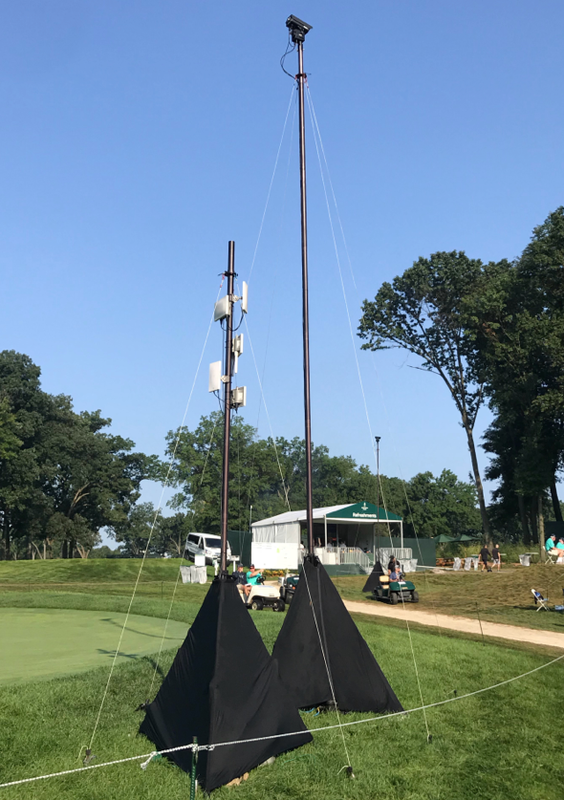 “They were looking to completely change the [digital] fan experience, and they needed someone to tie all the things together,” said Arnold in a recent phone interview. 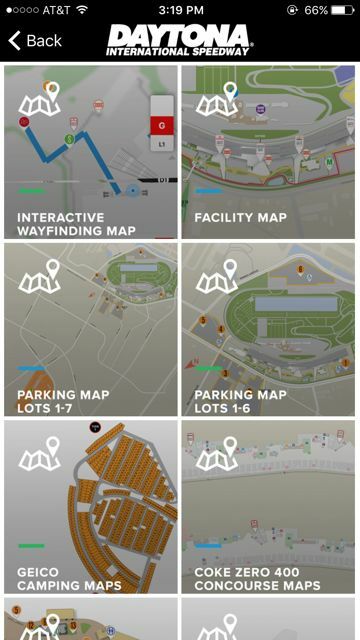 Under a NASCAR-fast deadline — Arnold said AVAI completed the app project in 90 days from design to launch — AVAI used its modular architecture to build and launch a new Daytona venue app ahead of this year’s race, one that Arnold said was used by 30 percent of attendees. 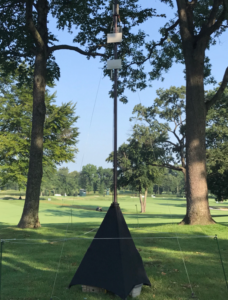 If there was one feature that was key in getting fans to use the app it was the active wayfinding and maps feature, Arnold said. As an enormous, sprawling venue, a NASCAR track is always a challenge for fans to find their way around; it was especially so at Daytona this year given all the renovated spaces that were part of the track’s “Daytona Rising” refurbishment of grandstands and other fan areas. 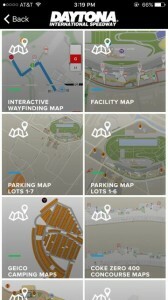 Map interface from Daytona app. 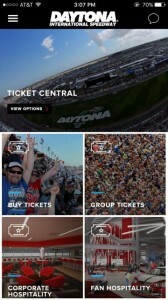 The Daytona app also featured integration with the existing FanVision experience, which provides race fans with in-car camera and scanner content; it also had a fully interactive site map, with the ability to “mark” areas like favored concession stands or where you parked your car; there is also support for a fan loyalty program as well as user-selected push messaging, where fans could be alerted to things like shorter concession lines, or autograph sessions with drivers. Arnold said AVAI’s overall strategy of having an app platform that was purpose-built to integrate easily with third-party features enabled the quick turnaround on the Daytona app. He said that “making it easy to integrate APIs and SDKs” from existing services like analytics, content or other services may make sense to more venues, as they seek to integrate tools they are already using into a single mobile-app platform. Concert deals now, more stadiums later? 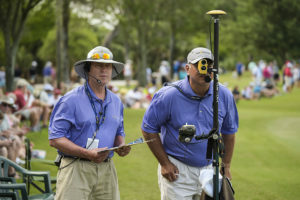 Though AVAI Mobile has more than a few big-event customers — the company just announced a deal to provide mobile technology for C3 Events, which runs the Austin City Limits and Lollapalooza festivals, among others — the Daytona/ISC deal is probably the company’s biggest stadium “name” deal so far. And unlike VenueNext, the app developer for the San Francisco 49ers that has made a name for itself by providing cutting-edge services like in-seat food and beverage delivery, AVAI Mobile will more likely seek customers who are looking for a more pragmatic approach, Arnold said. Remember when college basketball tournament season only had a small slice of games available online? Or when you had to pay extra to watch online? It wasn’t that long ago. Thankfully though the future is here now and for 2016 the college hoops postseason has even more ways to watch games mobile or online, including one option to watch games via virtual reality programming. Like last year, if you have a qualifying cable contract, you are basically covered and should be able to watch all the NCAA Men’s Basketball Tournament games live, on whichever platform you want. The best way to start is to head to the NCAA’s March Madness home page, where you should be able to find any and all information on devices, apps and other avenues to streaming coverage. According to Turner Sports, the NCAA and CBS Sports the games will be available live on 12 different platforms, including Amazon Fire TV, Apple TV, Roku players and Roku TV models. 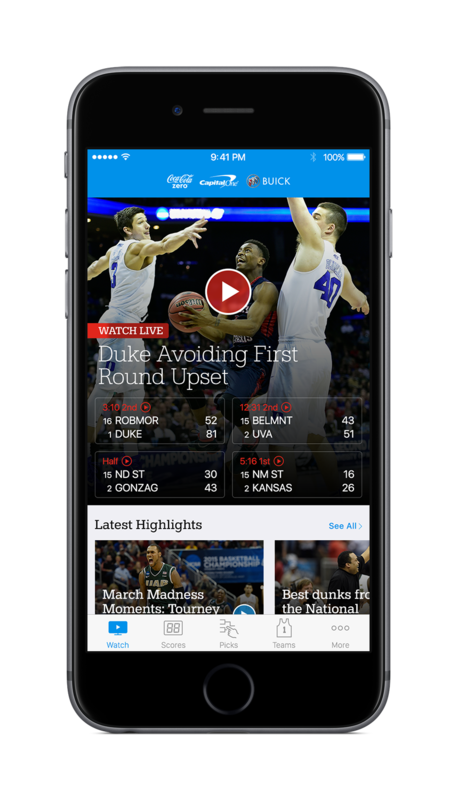 The new March Madness Live app isn’t avalable until Thursday, so check back soon for the go-to app for everything March Madness. Also like last year, you should be able to watch a few minutes of the first game you see without having to log in — great if you are just trying to catch a buzzer beater. 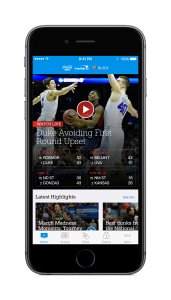 The games of course will be available on regular TV, and the March Madness home page has what may be a great time saver, a widget that helps you find those obscure cable channels other than CBS or TNT where the games might be on. 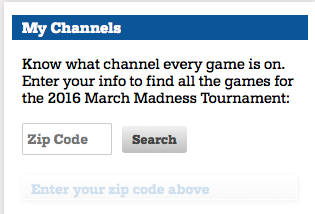 Since we’ve just moved, MSR’s NCAA viewing team might make good use of the Zip Code-powered channel finder. Even if you don’t have a cable contract you can still watch a lot of games that are streamed online; games broadcast on CBS will be available for no charge on desktop, mobile and tablet platforms, while games broadcast on the other channels (TNT, TBS, truTV and local channels) should be available on those providers’ websites. Again, if you get stuck or lost just defaulting back to the March Madness home page should give you a path to whatever game it is you’re looking for. 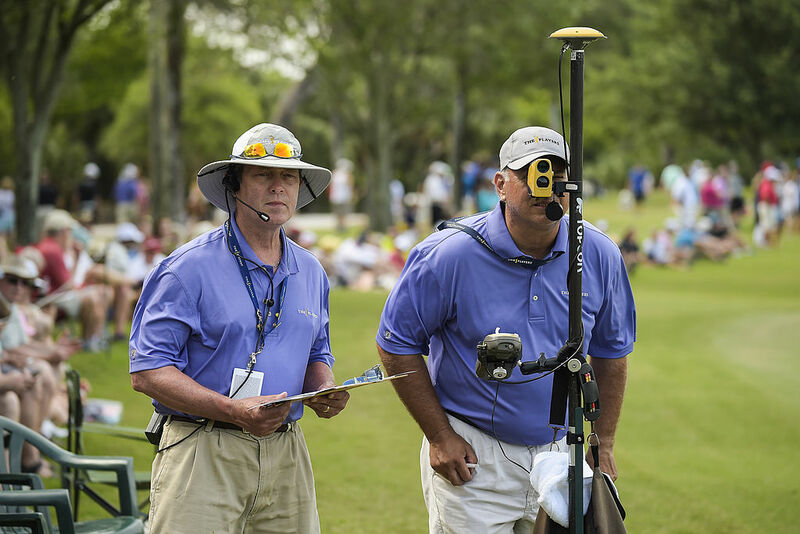 If you have a NextVR platform you will be able to watch the 2016 Big East tournament (it starts Thursday, March 10) thanks to a partnership between FOX Sports and NextVR. We’re not VR-savvy here at MSR headquarters yet but with seven games and 15 hours of programming scheduled this might be a cool treat for VR fans. NextVR has an instruction page on how to watch the games in VR; if anyone tries this out, send us an email with a report on how it worked (or didn’t) and we’ll let everyone else know.